This cemetery is fenced with a wire fence and has white-plank entrance. It covers 1 acre of land. A sign over the gate says, "Horn Cemetery." The double gate is kept locked. There are open areas in the cemetery and numerous trees. It is very well maintained. There are deeds for this cemetery listing the name as Horn Hill Cemetery, Vol 71, p 300, and Hackberry Cemetery, Vol 37, p 12. This area along Honey Creek was once called Hackberry. Both deeds were signed by Elder R. C. Horn, who wrote THE ANNALS OF ELDER HORN, and was a trustee for the cemetery. The city of McKinney owns Erwin Park and actually extends its city limits this far. In a newspaper article written by R. C. Horn in the McKinney Courier Gazette on August 25, 1922, the following people were listed as being buried here who are not listed in COLLIN COUNTY CEMETERY INSCRIPTIONS. J. D. Tucker and son Tommie Horn, son of W. H., Jr. The first burial was early in 1872 for a baby of Mildred Horn Weeks. There is no marker for it either. The cemetery was started by W. H. Horn, Sr., father of R. C. Horn, although he did not make a deed for it. Ezell Stepp is buried here in an unmarked grave. He was the last hanging vicitm in Collin County, Nov. 17, 1922. A follow-up visit was made on 3/3/93 after a report of vandalism. Almost all of the stones have been knocked over. 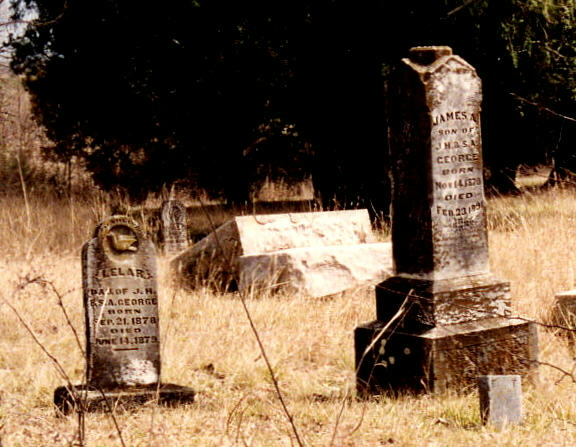 The Horn Cemetery contains ancestors of Kent Horn of the Horn Monument Company in McKinney. 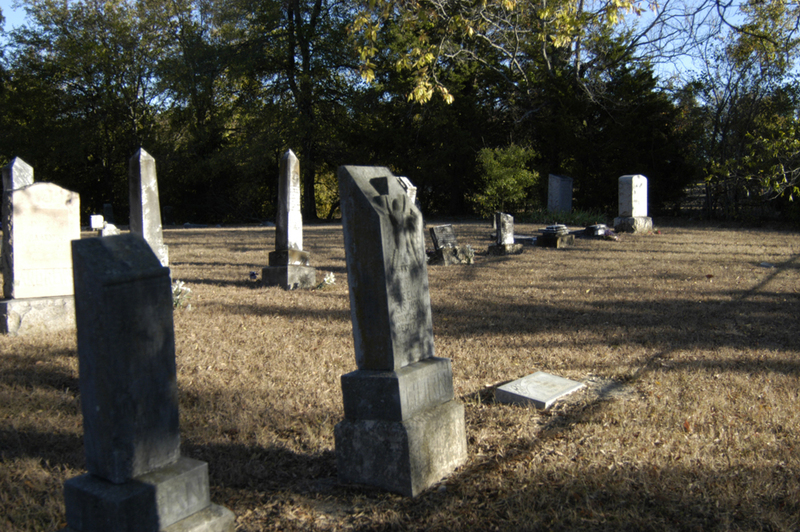 He will be repairing the cemetery after some arrests have been made. The cemetery was repaired in time for the Horn family reunion in May. The relatives visited the cemetery then and cut the grass.